The total of 16 points scored in the game was the lowest ever in a Super Bowl, surpassing Miami's 14-7 win over Washington in 1973. The attritional season-finale was swiftly dubbed the "SuperBore" by critics on social media. "We've been this far and lost which is really tough," a jubilant Brady said. "We had a lot of resolve the last couple of weeks I wish we played a little better on offense but we won. Super bowl champs." 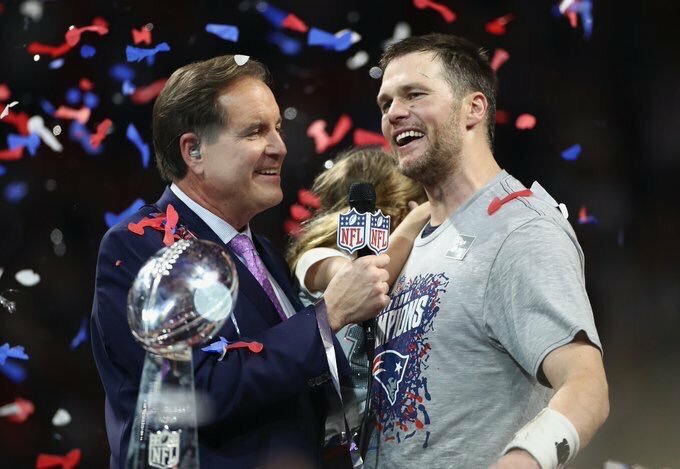 "It's sweet," Belichick said. "Everybody counted us out from the beginning of the season, mid-season, but we're still here." Brady - already widely regarded as the greatest quarterback the National Football League has ever seen -- provided the decisive moment to break open the game midway through the fourth quarter at Atlanta's Mercedes-Benz Stadium. The Patriots marched up field on the subsequent possession and Stephen Gostkowski's second field goal with 1min 16sec remaining made it a two-score game. Edelman missed all of last season after suffering a serious knee injury and was also banned for failing a drugs test last year. "Tough times don't last, tough people do," Edelman said. "I preach that, and I guess you have to live to it." "There is really no other way to put it. I'm pretty numb right now, but definitely, I got out-coached," McVay said afterwards. "I didn't do nearly enough for our football team." An attritional first half had seen defense dominate, with the Rams -- the second most potent offense in the league this season -- restricted to a meagre 57 yards.